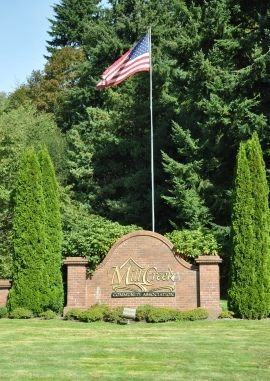 Mill Creek was once known as a premier golf course community, located just north of Seattle with a small town charm. 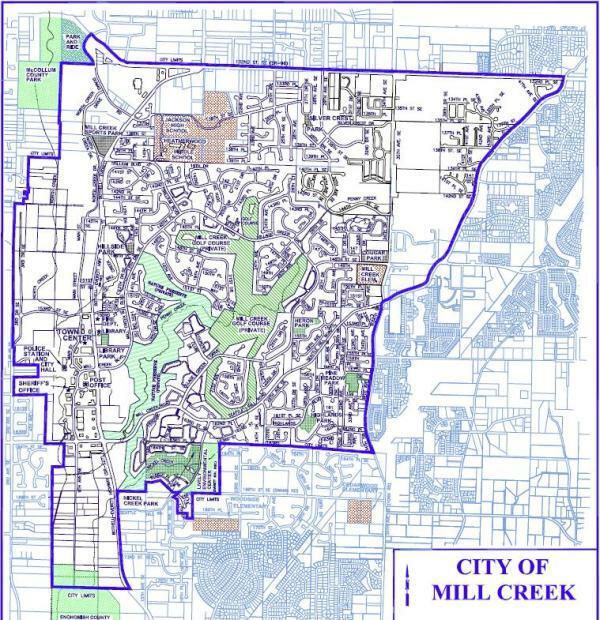 Now Mill Creek has enlarged and expanded reaching cities on all sides, making it a superior suburb community, that occasionally sticks to its roots as a golfing community. 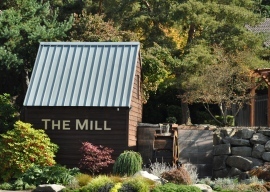 Things really changed from traditional single-family homes when Mill Creek built the new Town Center. 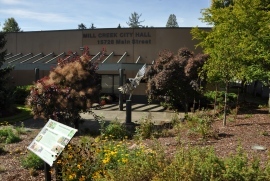 Adjacent to the shopping center, the city allowed numerous walk-able residential areas with smaller cottage housing, and many high-quality townhomes. These Mill Creek homes offer evening strolls into the town center where the community plazas and gatherings locate. 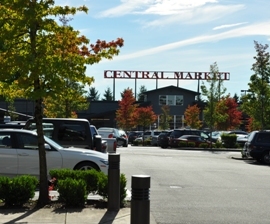 Of course, there are many fine retail shops and restaurants to choose from. 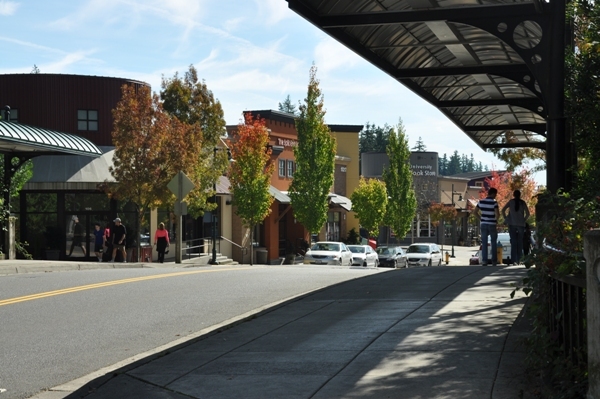 The current population of Mill Creek is nearing 20,000. 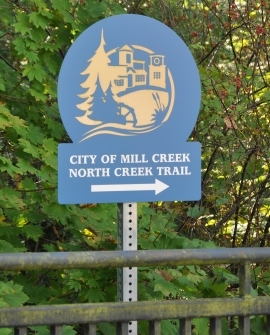 There are over 23 miles of nature trails including the scenic North Creek Trail that runs along the North Creek Greenway (just west of the Town Center) from McCollum Park to the southern city limits. 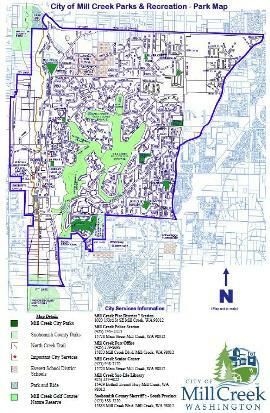 In addition, there are nine attractive neighborhood parks providing recreational opportunities for the residents, including the Sports Park, which features a lighted, artificial turf ball field for both little league and youth soccer and a skate park.